The arrest followed several arrests of individuals involved in terrorism earlier this month. Rabat – Morocco’s Central Bureau of Judicial Investigation (BCIJ) dismantled a terror cell of 13 members on Wednesday morning in the town of Klaat Sraghna in central Morocco and in three cities on the Atlantic coast: Sale, Mohammedia, and Casablanca. The suspects, whose ages ranged from 22 to 44, include two individuals who had previously been arrested on charges related to the anti-terrorism law. A statement from the Ministry of the Interior said BCIJ seized electronic devices; knives; an allegiance script supporting Abubakr al-Baghdadi, the self-styled caliph of ISIS; and a handwritten letter inciting to terrorism. The ministry added that the suspects had glorified terror attacks and attempted to incite people to commit terror crimes to undermine safety and security of the country. The statement added that the suspects were put in custody for further investigation. In 2018, BCIJ carried out similar anti-terrorism operations across the country. 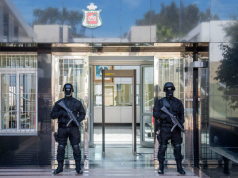 In one of the most recent operations, in December 2018, BCIJ arrested at least 22 suspects for one terrorist attack: The murders of two Scandinavian tourists in the Atlas mountains. 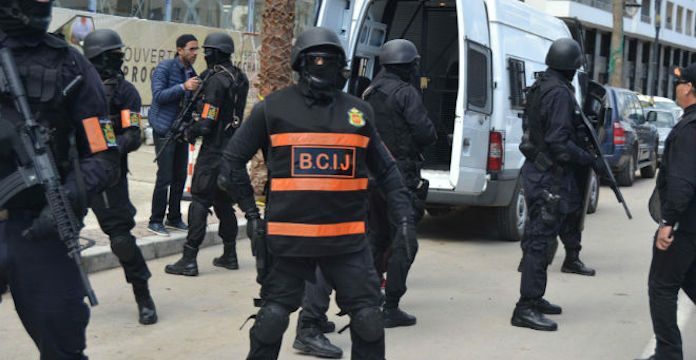 On December 7, BCIJ also dismantled a six-member terror cell for their alleged ties with ISIS in Beni Mellal, central Morocco. The first arrest in January was of a mechanic in Tangier. 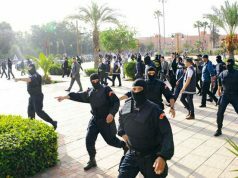 The second arrest was of a three-member ISIS cell in Nador and Driouch, two cities in northeastern Morocco. 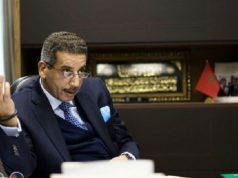 BCIJ has dismantled 59 terror cells, 51 of which had ties to ISIS, since its creation in 2015, according to the head of the office, Abdelhak El Khiame. 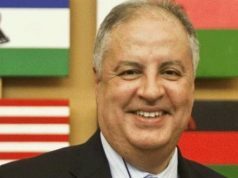 El Khiame said that BCIJ is now encountering fewer terror cells thanks to BCIJ’s efforts. As of December 2018, BCIJ had arrested 918 people for terror-related crimes, including 14 women and 29 minors. 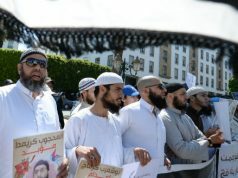 El Khiame noted that 98 percent of the people arrested in Morocco in terror-related cases are Moroccans.